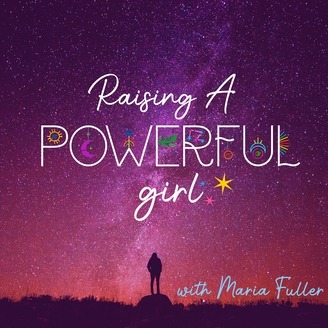 Join Maria Fuller, a mother to two girls, and the founder of Raising a POwerful Girl the website and blog and Founder of the Empowered Girl Movement and APP. 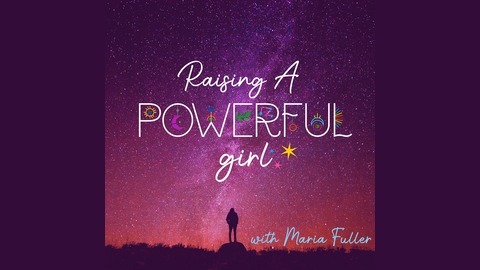 Maria has​ spent nearly a decade working with women of all ages to help shed unhealthy beliefs and breakdown stereotypes surrounding pregnancy, motherhood, body image, self-esteem, parenting, women in leadership and much more. Her Mission is to help Empower parents to Foster Independence, Leadership and Strong Personal Identity in their daughters so they can be the change we need to see in this world. Stephanie Nichols is a first-time author from Milwaukee She is known for her passionate personality and telling it like it is. She is a strong believer in the ripple effect. She believes that if we moms can do the work it takes to find that calm and heart-centered place inside ourselves, we can make a difference in the lives of our children. We can raise children who value their true selves and find worthiness in who they are as people, simply because they have moms who are fully committed to the same. Her mission as a Life Coach is to help overwhelmed moms learn how to take back their lives without feeling guilty in the process. She's working to create a world where moms stop judging and comparing and start living their best lives. Join us on this powerful conversation where we share real truths of how to find moments of calm in the middle of parenting chaos, how creating calm in your life is a powerful force to combating todays mental health crisis and increasing anxiety in not only girls but boys today and how we can learn so much when we take time to reflect on those moments of chaos that make us often times feeling less than.